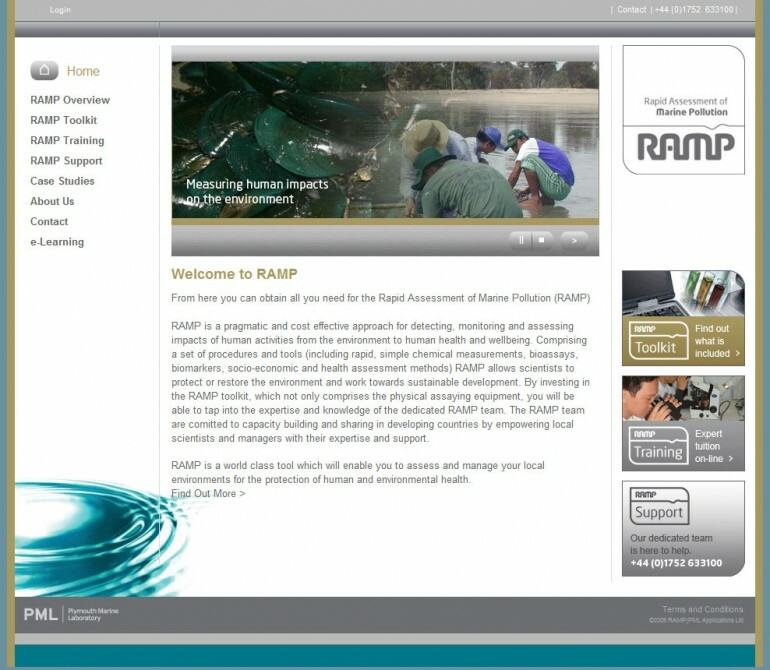 RAMP is a pragmatic and cost effective approach for detecting, monitoring and assessing impacts of human activities from the environment to human health and wellbeing. During my intership at PML, happy with my previous work on the PML Aplications site my contract was extended for me to produce a website for RAMP (Rapid Assessment of Marine Pollution). The site was intended for both B2B marketing as well as providing Flash based e-Learning content to assist people internationally in correctly conducting a FRAP Assay.